You are here: Home / Media / Eyre Peninsula residents: Join the conversation on mental health! 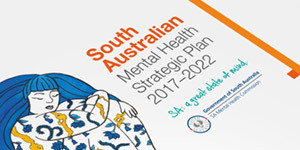 The South Australian Mental Health Commission is keen to hear the views of Eyre Peninsula residents as it leads to the development of our State’s new Mental Health Strategic Plan. SA Mental Health Commissioner Chris Burns said the Commission will hold a community conversation from 6pm–8pm on Monday May 8 at Ravendale Community Sports Centre in Port Lincoln. “The views of country South Australians are critical inputs to the Plan so I’m urging everyone to come along and have a say on what they think should be in the Plan,” he said. “I want to hear local insights and perspectives on mental health and wellbeing from people living throughout the Eyre Peninsula. What’s working and what’s not? What can we build on and what do we need to address? What can we showcase or support? How do we support our communities to be mentally healthier? What else should we be mindful of as we develop the SA Mental Health Strategic Plan? Commissioner Burns said he and his team continued to engage with a wide range of South Australians and stakeholder groups, including people with lived experience of mental illness, their families and carers; service providers in the private, NGO and government sectors and academics. The Commissioner will also meet community leaders and private and government clinicians in Port Lincoln, visit Headspace in Whyalla and attend a conversation at Pika Wiya. The current round of SA Mental Health Commission conversations will end on May 31. Next month the Commission will release a Key Findings Discussion Paper and South Australians will have an opportunity to provide further comment. Commissioner Burns said the Commission was uniquely placed to work in strong partnership with all stakeholders as well as working across relevant government agencies including housing, health, education, employment, justice and disability. The Commission was also being strategic and holistic in its approach to developing the Plan, he said. RSVPs are essential because a light meal is provided. Those wishing to attend should email angcordon@gmail.com or telephone 0429 826 599 by 5pm this Friday May 5. If there is no answer, please leave a brief voice message. More information on the Commission and its work can be found at samentalhealthcommission.com.au. If people can’t attend, they can go to samentalhealthcommission.com.au and find out how to share their views.